Duell has Modular written all over it. With its gentle curves, Duell gives every room a softer touch. 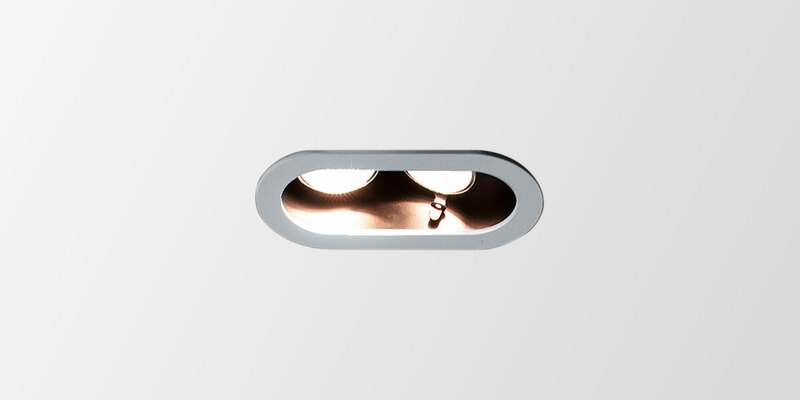 The duo toned fixtures allow you to play with colour. For ceiling mounted application, we offer both a recessed version and a surface mounted version. The recessed version has an attractive broad rim. Duell surface is available in a directional variant. The complete Duell range is available in LED and is perfect for accent lighting in the space. New colours extend the Duell wall range. Metallic blue - silky grey - cacao bronze are bringing an even more authentic feel into the room.